For the solution, click here. 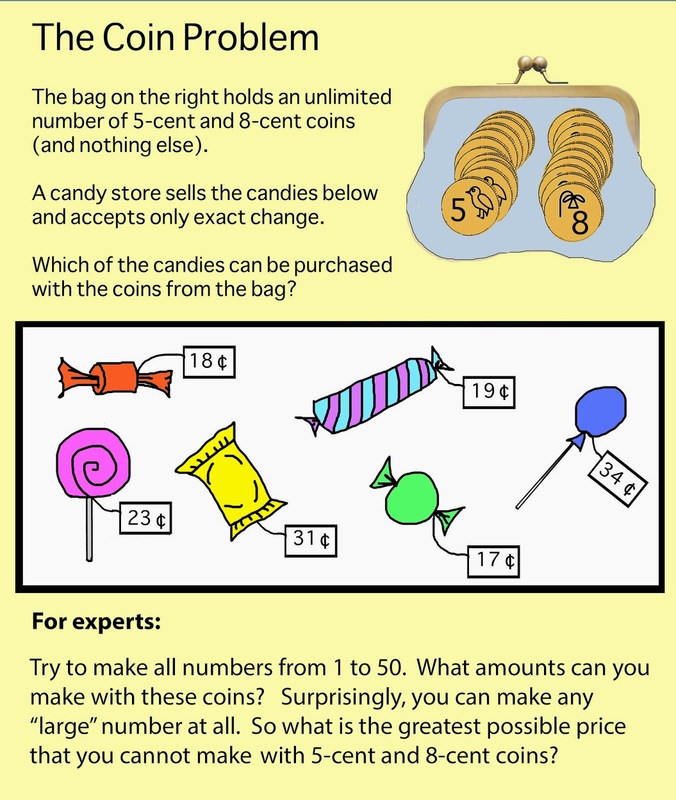 This site was created as a source of problem-solving activities for elementary and middle school children. If you have a comment or an idea, please email me at sianzelbomath@gmail.com. 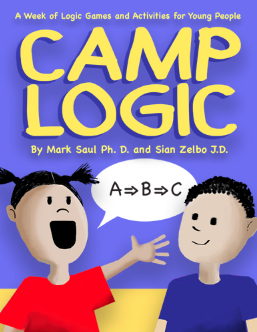 You can order my book, Camp Logic, at http://naturalmath.com/camplogic/. This Creative Commons book is for teachers, parents, and math circle leaders who want to engage students with informal, playful activities that sharpen logic skills. The works on this website are licensed under a Creative Commons Attribution 4.0 International License.